Emporio Italia has been open in Skipton for a while now but I have only just got around to visiting, we tried it for lunch and it’s fantastic, great fresh authentic Italian food served with a smile. We sat outside on one of the 5 outdoor tables and enjoyed some sunshine and watched the world whizz by! The restaurant is at 3 Mill Bridge, Skipton just opposite the Castle pub at the top of town near the Church. We drank authentic Italian coffees and perused the menu with a complimentary dish of olives and oil drizzled breads. As it was supposed to be just a light lunch we opted for “Bruschetta Mediterrania” – Bruschetta topped with sauteed Mediterranean Vegetables served on a bed of spinach and the “Pasta & Fagioli soup” which was both tasty and wholesome, a good selection of beans and finely cut veg with flecks of ham, quite delicious. Service is excellent but as all dishes are made from scratch so don’t expect fast food, more importantly this is very good slow food, just relax and enjoy. Other dishes seen eaten but not tried included a great looking tomato & spinach pizza, salads and a good selection of cured meats & roasted aubergine in the deli counter. Emporio Italia also sell various Italian Deli items and is well worth a visit, menu changes depending on the chef and what is seasonally available. 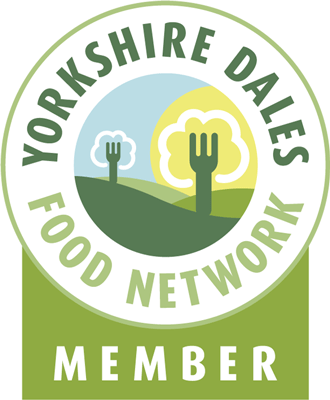 This entry was posted in Eating, Yorkshire Dales Food and tagged bruschetta, deli, emporio, fagioli, Food, italia, italian, pasta, ristorante, skipton, spinach, vegetables. Bookmark the permalink.